Leg pain can range from a mild nuisance that comes and goes, to debilitating pain that makes it difficult to sleep, walk, or simply go about your day. Some patients describe the pain as aching, throbbing, searing, or burning, and sometimes accompanied by a pins-and-needles sensation, or numbness or weakness. Leg pain may be caused by a problem in your leg, but often it starts in your lower back, where your sciatic nerve originates, and travels the nerve path to your leg. 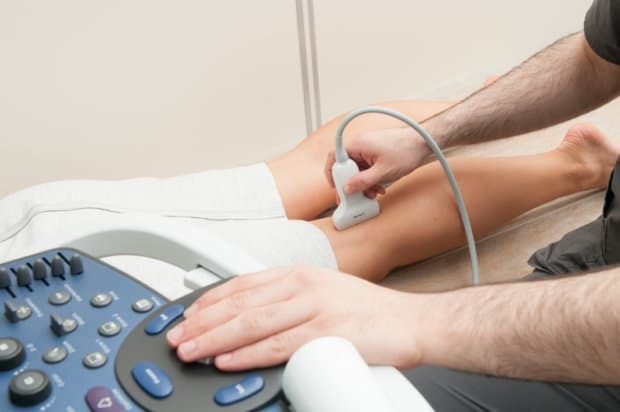 In all cases of leg, ankle, or foot pain, or foot weakness or numbness, Spine Correction Center begins with an examination of the lower back and then works from there to find the cause of your leg pain. There could be more causes of your leg pain depending on the chronic conditions and ailments you may already have. If you have an injury in one leg and start to develop pain in the other leg, it could simply be due to the stronger leg overcompensating. No matter the cause of your leg pain, if it is recurrent, definitely have your symptoms checked out. Small issues are easier to fix than larger ones that have led to nerve and tissue damage. Because knee pain is so common in many patients, it can often be confused with leg pain. Many patients that struggle with leg pain may actually have their symptoms related to issues with the knee. A common cause of knee pain is arthritis, which causes inflammation in the joints such as the knee. That inflammation will cause the breakdown of cartilage between the bones and the joints, which is the soft cushion that makes your movements smooth and pain free. When that inflammation breaks down cartilage, bones will start to grind together, which can become incredibly painful. Inflammation of the knee may cause swelling that can affect the entire leg. Severe edema—or swelling—can leave patients with tons of leg pain. Arthritis is generally the cause of knee pain, and there are over 100 forms of this condition. Osteoarthritis alone affects more than 27 million Americans. That’s just one type. 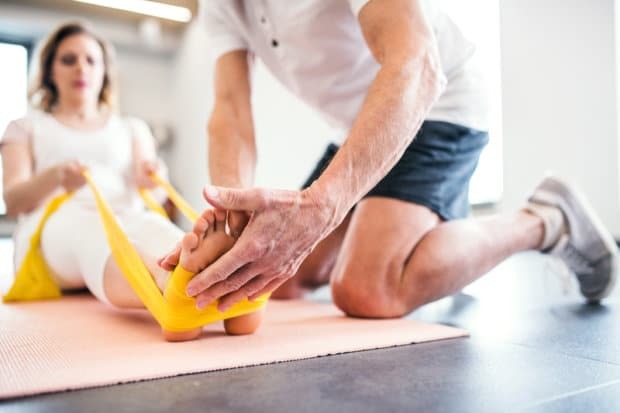 If your leg pain is really knee pain, you can get ahead of major cartilage breakdown and severe pain if you seek the right chiropractic and rehabilitative help. Physical therapies, anti-inflammatory injections, nutrition counseling and non-narcotic pain management methods can control your pain whether it is in your leg or your knee. These can also extend your life when your inflammation is controlled. With anything mild, simply resting the leg may help the pain to go away. When that doesn’t work, don’t let weeks and months go by with your symptoms. If you have pain that is in your upper leg or through your backside, the problem could be a pinched sciatic nerve or pinched nerve in your back. Sciatica pain is commonly confused with leg pain, and it comes from improper lifting, turning or pinching the nerve with exercise. With this issue and other nerve-related issues, we can pinpoint the affected nerves by the symptoms you have. Anti-inflammatory medication along with therapy services can help correct the problem, getting you back to your life. Therapy services such as chiropractic care and physical therapy counseling can also help you avoid health problems in the first place. 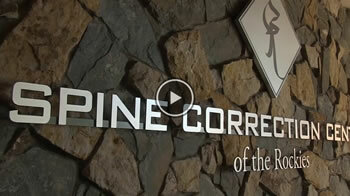 To get started on your treatment plan, call Spine Correction Center of the Rockies today at (970) 658-5115!